"I have been blessed to have worked with Debbie as a buyer (twice) and seller. I can’t imagine working with anyone else! Debbie is a kind, hard-working, committed real estate advisor. Debbie is much more than my realtor, she is a trusted friend. Through my two purchases, Debbie spent time understanding the goals of the home so her recommendations led me to finding the right home early in the process. Debbie was there every step of the way. Her knowledge of the real estate market and understanding the needs of my family was a huge help in the process. My home sale was quick and easy which helped my family to get into another home within our goal time frame. Debbie’s kindness, commitment to helping me find the right home, and recommendations made this process enjoyable. I am so thankful for Debbie and am looking forward to moving into my dream home in a couple of weeks!!" I am writing this letter to express my sincere gratitude and appreciation for Coldwell Banker Realtor, Deborah Thompson. My family recently listed and sold a home in Tallahassee with the help of Debbie Thompson. As the home had belonged to my mother who passed away last year, it was quite an emotional experience to endure. Debbie went above and beyond to make me, and my siblings, as comfortable as possible with the process of listing, selling, and eventually letting go of our Mom’s home. She served as the liaison between our family and contractors we hired to work on the home, and was quick, thorough and professional in answering our questions and addressing any concerns we had during the entire process. I highly recommend Deborah Thompson as a truly qualified, knowledgeable and compassionate realtor in the Tallahassee – Big Bend community. I recently close a Real Estate purchase transaction in Golden Eagle, Tallahassee, FL that Mrs Thompson was the Agent that handled the transaction from my first inquiry of the property through closing. She is very knowledgeable in the Real Estate transaction procedures. She has a "live in neighborhood" understanding of Golden Eagle. She is very tolerant of buyer/seller emotions and the methods needed to accommodate both parties. Takes time to make sure all aspects of the transaction are completely met. I highly recommend Mrs Thompson to handle your Real Estate needs. Having personal knowledge that she will exceed your expectations in successfully satisfying your Real Estate needs I can highly recommend her to handle your purchase or sell need of your property. ...Throughout the second half of last year until the closing this month, Debbie went above and beyond to help us, particularly for what I'm sure was a smaller than normal sale price compared to her other sales. The place needed repairs, and Debbie knew who to call and made the arrangements with the contractors -all I had to do was write the check when the work was done. Debbie interacted with the HOA ... on our behalf, which at times can be more difficult than it should be. Debbie interacted with the firm we had worked with to rent the condo, and made helpful suggestions when we needed to clean up after the last tenants had left a mess and skipped on several months of rent. "As a former full-time realtor I speak from experience to the excellence of agent Deborah Thompson. During the time she was the listing agent of my home, I saw first hand the depth of her professionalism. Her attention to detail is without par. 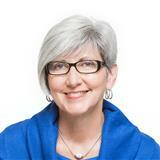 As an agent of 24 years, her knowledge of real estate is vast encompassing all aspects of the profession. After skillfully negotiating the sale of my home, I purchased another great house with Debbie's expertise. I recommend Debbie without reservation. Her cheerful demeanor, experience and devotion to her profession combine to make a lovely person and an unsurpassed realtor. 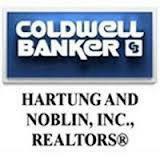 We are writing to let you know how much of an asset we think Debbie Thompson is to Hartung & Noblin Realtors. We selected Debbie to represent us in the sale of our property located at 1131 Brafforton Drive and were very pleased with how she represented us and helped is through the sale process. Debbie was always punctual, courteous and helpful throughout the whole process. We ended up being absentee owners during the sale process because of a prior commitment. Debbie was always available (telephone or internet) to answer questions or share her opinion when requested. We do not believe that the sale of the property would have gone as quickly and efficiently without Debbie's guidance and attention to the details that were needed throughout the process. We believe that Debbie represented Hartung & Noblin in a very professional manner and is an asset to your firm. Thank you Debbie. "Prior to listing our house, Deborah sold my mom's house and did a great job. She met with us early on in the process and did a complete review of our house and the current market conditions. She gave us solid recommendations on work to do to our house n regard to fix up, clean up, staging, etc. All of her advice was right on. She sold our house quickly and we had a great experience from start to finish." "Deborah went above and beyond in a very challenging situation for me. Relocating due to employment complicated the situation as well as continued softness in the marketplace. Deborah assisted in securing a renter for an entire year during my relocation period and helped in a number of situation that came up during the time frame. When it came time to actual sell my property the market was still down. However, with Deborah's tenacity she was able to secure a buyer and handle the entire short sale process. Deborah is a true professional and would recommend anybody in the Tallahassee area should spend a few minutes if they are in the market to buy or sell." "Deb was a realtor for a friend and came to us highly recommended by the friend. She helped us find a home in Tallahassee after much diligent searching; great communicator via email and telephone; excellent followup. Five stars." This letter is in reference to Deborah Thompson. She was assigned to me through my corporate relocation program as my realtor for selling my property at 7402 Heide Hill Trace. Both my wife and I were extremely satisfied with her serivces in addition to her commitment to the property in this tough market. She was the first realtor to hold multiple open houses and the last one yielded the cousin of the future buyer. There were also some small technicalities that she worked through with the buying realtor that made this process smooth and reassuring. She was always available to us and took time to talk about strategy and negotiations. We feel she was a critical part to the closing of the property and hope this letter serves her and the firm well. "Working with a patient, well-informed real estate professional like Debbie was a blessing for my wife and I. The excitement of a new job in a new city coupled with searching out the right schools in the perfect neighborhood can cause moments of anxiety for even the most well-balanced couple. Debbie eased our anxiety by simply doing her homework. She asked all the right questions to us and was able to develop a game-plan for our family's home-buying success." "When we decided to sell our condominium unit in Tallahassee in 2008, we were faced with the problem of being out-of-state and in need of a local realtor. Long distance real estate transactions can be difficult, at best. Our property was on the market with another agent for over a year before Debbie Thompson stepped in to help us. Debbie was an absolute treasure! She not only kept us informed of everything that was happening in connection with our property, but the condo association placed several roadblocks in the way of our closing. Debbie became a real tiger, fighting for our rights and handling all the issues that came up. She was there, on our behalf, to meet and to negotiate with the association officers. She also made arrangements with reliable local contractors to see that the necessary physical modifications were made to our unit. We could not be more pleased with Debbie Thompson's personal and professional demeanor throughout our transaction. We highly recommend this excellent agent!" We purchased our home in November 2010 with Deborah Thompson acting as our realtor. It was absolute pleasure working with her. Throughout the whole process, she kept in constant contact with us. We always knew she was keeping our needs and interests in mind. Deborah was very patient and understood what we were looking for. She did not give up until she found the perfect house for us. After we bought the house, she still helped us in finding companies and services we needed. We feel Deborah went above and beyond what is expected from a realtor. She was extremely responsive, always professional, and clearly has a deep wealth of experience in her field. We are even happier with out new home now that we are living in it!. We would be happy to give a recommendation for her and will certainly refer her to anyone we know needing a realtor.